Believe it or not, the PlayStation 4 is almost two years old already. I know, I'm surprised too. To celebrate, Sony is rolling out its dashboard preview program... and from the looks of it, firmware version 3.0 is positively massive and rife with some huge changes for the console. Let's start at the top: online storage has been increased from a paltry 1GB to 10GB, which should make it a ton easier to access all of your game saves wherever you are. With the advent of YouTube Gaming comes the ability to livestream from Sony's latest game console to Google's video wing, much like you could already do via the system's built-in Twitch functionality. And on top of the existing screenshot sharing, you can now share video clips to Twitter. Sadly, they're limited to 10 seconds apiece. Sony has revealed a list of new features set to arrive alongside the forthcoming PS4 3.00 firmware update, including an increase in online storage space and the ability to livestream to YouTube. In a post on the PS Blog, Sony's John Koller announced those opted into PS4's beta testing system will get access to the features today. That includes the aformentioned YouTube streaming option, as well as an increase to 10 GB of cloud storage and a new Events hub. The update also includes a way to share short gameplay videos via Twitter, stickers, and a new system for grouping friends by game and other categories. Online storage capacity increase — PS4 online storage capacity has increased from 1GB to 10GB for all PS Plus members. In 3.00 system software, you'll see that we added a handy usage meter to monitor your available storage capacity, and a new Auto-Upload menu has been added to Application Saved Data Management. YouTube live — PS4 owners will be able to live stream gameplay to YouTube. Live streams will be viewable across YouTube, including on the new YouTube Gaming mobile app and website. Events — A new hub for events has been added, giving an overview of activities taking place in the games you play most, as well as official broadcasts. For instance, you may see an update for a Double XP weekend, a special enemy appearing at a scheduled time, or seasonal events like in-game towns being decorated for the winter. You'll also receive notifications when the event starts, or if the timing changes. Favorite Groups — Favorite Groups has been added to the Friends app, letting you quickly access groups of people you like to play games with frequently. This will make the process of getting a game session up and running even easier. Communities — PS4 users will have the ability to create communities based around shared interests, like games, genres, and more. Communities include a message board with general discussion, screenshots shared by players, and the ability to join parties / games. If you want to tackle a big multiplayer raid, but don't have enough friends available, this could be a great way to connect with other players who are looking for the same thing. Sharing video clips to Twitter — Users will have the ability to share video clips directly to Twitter. Maximum video length is 10 seconds, though you'll have the ability to trim longer clips. Stickers — Tired of typing out messages? With this update, you'll be able to send stickers to friends through the messages. Now Playing / What's New — The Now Playing screen will display even more information about what your friends are doing, and you'll be able to quickly jump into a game, party, request a screen share, or get sent to the PS Store to buy the game your friend is playing - further enhancing the social relationship with your friends online. Live from PlayStation — We've improved the Live From PlayStation app, making it easier to view popular trending broadcasts in real-time. Request to watch gameplay — Want to view a friend's gameplay session? Now you can send a ‘Request to Watch' notification to a player, which will start a live broadcast or Share Play invitation to the person playing. Nothing promises gaming excitement like the dramatic eight-second boot up of the original Sony Playstation (below). You can now add it to your game play videos, thanks to Sony's free 20th anniversary theme pack for SHAREfactory, the video editing tool for the Playstation 4. It comes with four intros (including the original boot screen), four outros, 11 titles clips, eight transitions, 26 stickers and four backgrounds. Sony notes that this can only be used in SHAREfactory, not as a PS4 home screen theme. Luckily, it already has aPlaystation One theme pack if that's what you're after. Sony has revealed that Everybody’s Gone to the Rapture was the best-selling game on PSN in Europe in August. The platform holder added that The Chinses Room’s title “racked up one of the highest week-one sales totals of any PS4 digital-only title to date”. MCV revealed last month that had digital sales been counted in the official UK Charts (as they most certainly should be), Rapture would have been UK No.1. Elsewhere in the PS4 chart, Rocket League debuted in second place having ended its immensely successful PlayStation Plus promotion. There were also Top Ten debuts for Goat Simulator and Until Dawn. Note the omission, however, of Mike Bithell’s Volume, which debuted on Sony’s service on August 18th. A handful of PlayStation 2 titles are coming to the PlayStation 4, if recent ratings by PEGI - the European ratings board - are to be believed (thanks, Gematsu). The three titles in question are Ape Escape 2, Dark Chronicle (also known as Dark Cloud 2 in certain territories) and Twisted Metal: Black. All are listed on PEGI's website as having a release date of, well, today as it turns out. Officially, only the PlayStation 3 is currently capable of accessing games from the PS2 Classics range, but these new listings suggest that Sony's engineers have cracked emulation for the latest hardware. We've reached out to Sony to ask if these listings are correct and, if so, whether we can expect to see even more PS2-era games on the PS4 in the near future. We'll update this story when we learn more. PS4 Limited Edition Star Wars Battlefront Console Bundle Release Date, Pre-orders LIVE!Pre-orders for the upcoming release of the PS4 Limited Edition Star Wars Battlefront Console Bundle have kicked off at Amazon! So, you didn't manage to get your hands on a 20th Anniversary Edition PlayStation 4, just like everyone else. Well, nevermind, as you can now have the next best thing. 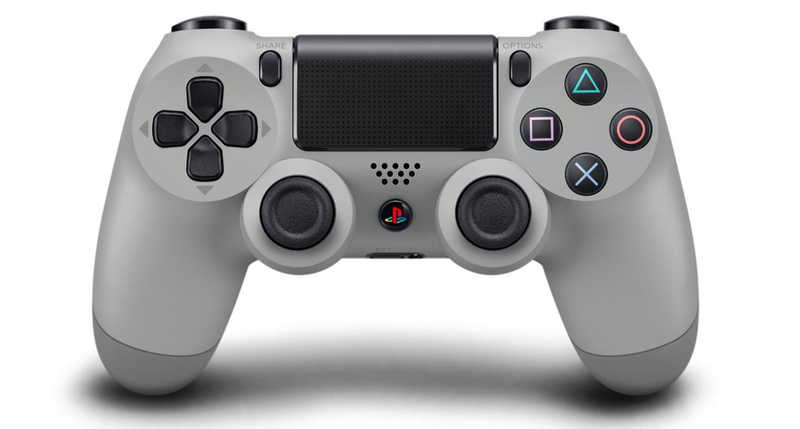 Sony has today released the Anniversary Edition DualShock 4 controller in the UK (and the rest of Europe), with its retro gray colour scheme and home button sporting the original PlayStation logo. Unfortunately, this model's lacking the engraved touchpad found on those shipped with the limited edition console, but it's close enough. The nostalgic pad can now be found at stores including GAME and Amazon for £50, which is probably more than you'd spend picking up an OG PS1 and a copy of Crash Team Racing on eBay -- not that we should be telling you which is the better purchase, of course. If you already own a PlayStation 4 but want to add a little bit more flair to your console, Sony's Tokyo Game Show press conference has delivered some good news. First up are new hard drive panels, which let you add a touch of colour to your console with a variety of yellow, gold, pink, yellow, light blue, red and purple plates. Sony introduced us to the idea of swappable faces when itdebuted its Project Skylight beta back in December 2014, but its latest accessories focus on solid colors more than game tie-ins. If you were holding off on a price drop before buying a PlayStation 4, I hope you're living in Japan. Sony just announced that its latest home console is getting a price cut to 35,000 yen (around $300) in the region, starting October 1st. You might be asking how this affects everyone else. Well, for starters this is a Sony sanctioned price cut and this is the first official one for the PS4. With the upcoming Paris Games Week (that Sony's pledged to be at in a big way) this could very well signal a price drop in Europe. And then we have the upcoming PlayStation Experience show in the United States later this year, which could see the asking price drop domestically too. We don’t know how many games consoles have been sold in China – but the noises coming from Sony suggest it isn’t as many as had been hoped. SCE CEO Andrew House has told Reuters that the region’sfamously strict censorship rules have proved a hurdle for PS4 in the potentially huge market. "We are still challenged somewhat with a censorship regime that we have to work with. This can be time-consuming," House explained. "I don't think it has been a kind of a rocket launch start." Both PS4 and Xbox One have been released in the country, while Nintendo has seemingly opted out of launching in China. In July it was estimated that between them PS4 and Xbox might manage 550k console unit sales by the end of the year. 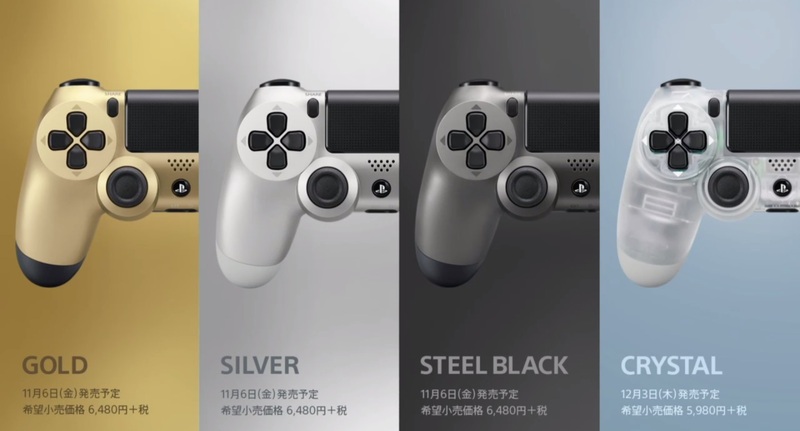 Yesterday Sony announced a 17 per cent price cut for PS4 in China. There have also been indications that the currently quite regimented requirements for selling game hardware in the countryare to be eased. Anything that threatens China’s national unity, sovereignty, or territorial integrity. Anything that harms the nation’s reputation, security, or interests. Anything that instigates racial/ethnic hatred, or harms ethnic traditions and cultures. Anything that violates China’s policy on religion by promoting cults or superstitions. Anything that promotes or incites obscenity, drug use, violence, or gambling. Anything that harms public ethics or China’s culture and traditions. Anything that insults, slanders, or violates the rights of others. Next month’s release of Assassin’s Creed: Syndicate will be accompanied by a PS4 hardware bundle. The SKU includes Sony’s newer 1TB version of the console, in Jet Black, along with a physical copy of Syndicate and, in addition, a digital copy of Watch Dogs. Creed itself will also include some extra in-game content in the form of ten ‘Penny Dreadful’ levels, which will be available on day one the game going live. “The Dreadful Crimes Mission Pack explores the roots of this gruesome fad sweeping London through the eyes of a young connoisseur of detective stories named Artie, who teams up with famous Penny Dreadful journalist Henry Raymond,” the blurb explains. “The unlikely pair will tackle the most sordid crimes of their day in explorations spanning the entirety of London, from the grimy slums of Whitechapel all the way to the profound opulence of Buckingham Palace itself. Playing as either of the Frye twins, you’ll be able to engage an enhanced version of Eagle Vision to uncover pertinent details and clues and rebuild crime scenes. “It’s up to you to choose whom to interrogate and your deductive skills will be put to the test in determining how to proceed. Once you feel you have successfully identified the culprit, you can confront and accuse them, but beware… accusing the wrong suspect will result in a decreased reward! Assassin’s Creed: Unity launches on October 23rd. Sony has unveiled a bling-tastic Gold PS4 console, but UK buyers face a hard time getting hold of one. The hardware is to be offered as part of a US-only promotion with fast food chain Taco Bell. Customers of the restaurant will, as of September 24th, have the chance to win one of the limited-edition units every ten minutes. Participants will have to buy a Big Box for a chance to win. Doing so will net them a promotional code. The bundle contains not only the console but also a Gold controller, one year’s PlayStation Plus membership and a copy of Uncharted: The Nathan Drake Collection. In total Sony reckons it will be giving away 6,000 of the machines. The promotion ends on November 4th. 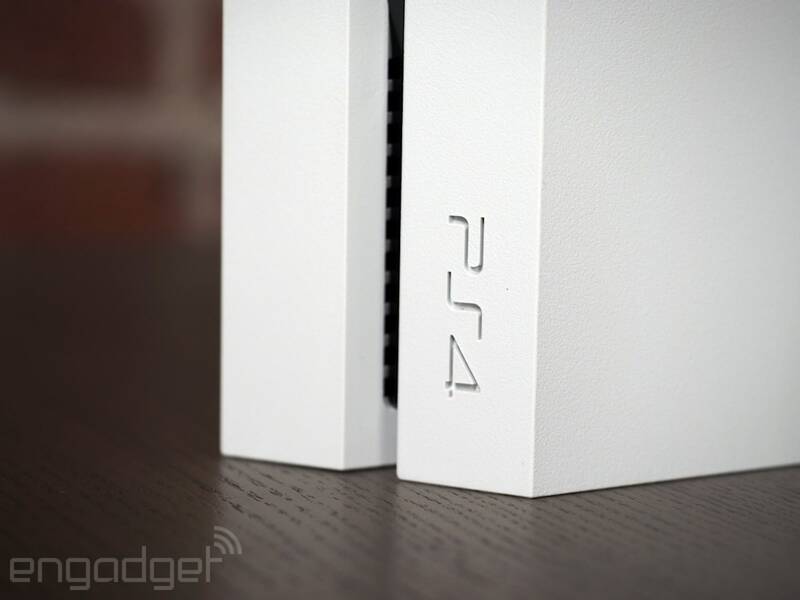 It looks as if Sony has confirmed the PS4 price drop that was rumoured in June. Sony has confirmed to Eurogamer that its upcomingUncharted Collection PS4 bundle will come in two flavours in the UK – 1TB and 500GB. The former, high-capacity SKU will cost £329.99 while the 500GB version will cost just £299.99. Both come in at less than the machine’s official RRP of £349.99. It was thought this might be the case when the first listings for the freshly announced 1TB machine came in at £349.99 or less, which was at that time the list price of the existing 500GB SKU. Sony last week cut the price of the console in both Japan and China. The price reduction brings Sony’s entry-level PS4 in line with Xbox One’s 500GB model. Eurogamer adds that the Uncharted bundle machine also appears to include the newer C-series hardware design, which is quieter and more power efficient than the existing design. Of course, many people will have grabbed themselves a PS4 for well below these new lower RRPs already. Beauty is in the eye of the beholder, but orange and grey is so last season, every season. The 1TB PlayStation 4 officially arrives in North America on November 6th in a specially designed Call of Duty: Black Ops 3 bundle that includes the game, Nuk3town bonus map, console and matching controller. It costs $450 in the US and CAD$550 in Canada, and pre-orders are available today. Seriously though, we won't judge anyone for snagging this thing -- 1TB is a lot of storage, after all. 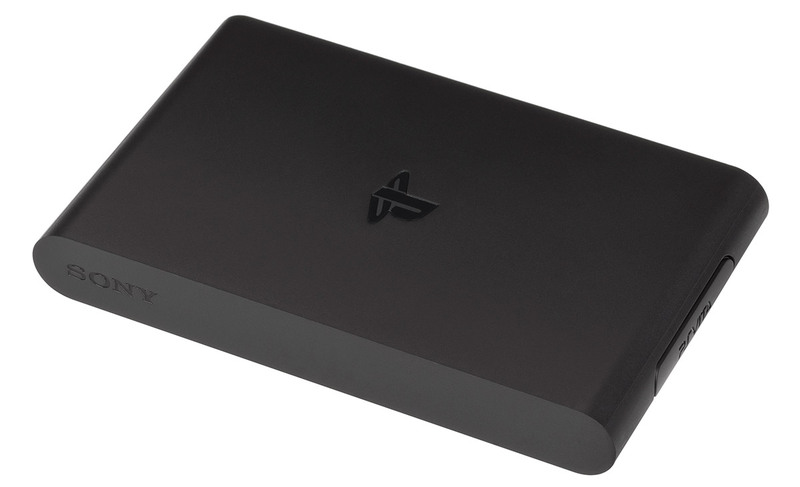 If you have a PlayStation TV collecting dust in a cabinet somewhere, this might make it useful again. A user called "mr.gas" from the Hackinformer forum has detailed how you can tweak the device to play games that it's currently not compatible with. The best thing about the procedure is it's actually doable, even if you're not that adept at hacking hardware. You only need to send PS TV a message from your email app with the writer.eml file attached (a download link can be found on the source's website) and renamed as #0 without an extension. The popularity of smartphone gaming may mean that Sony never releases another dedicated handheld console. Eurogamer reports that Sony Computer Entertainment Worldwide Studios president Shuhei Yoshida was asked at an EGX panel at the weekend whether the company plans on releasing a successor to the Vita at any stage in the future. "That's a tough question," he answered. "People have mobile phones and it's so easy to play games on smartphones. And many games on smartphones are free, or free to start. "I myself am a huge fan of PlayStation Vita and we worked really hard on designing every aspect. Touch-based games are fun – there are many games with really good design. But having sticks and buttons makes things totally different. "So I hope, like many of you, that this culture of playing portable games continues but the climate is not healthy for now because of the huge dominance of mobile gaming." The handheld market continues to be quite starkly divided, with portable machines dominating the marketplace in Japan but suffering declines in Western markets. Remember when the 3DS launched back in 2011? Remember how hard it flopped? Instead of pulling back and blaming the “climate” for all of their woes, Nintendo doubled down, releasing new models and filling it up with stellar games to the point where it’s now one of the best machines you can buy. Granted, Sony doesn’t haveMario or Zelda or the storied development acumen of their competitors in Kyoto. But if they hadn’t spent the past three-and-a-half years firing a giant rifle at their own feet, maybe things would look a little different for the wonderful PlayStation Vita. PS4 will get its own Twitch app later this year, just as the Xbox One received a similar streaming service app during March 2014. As reported by Gamespot, the upcoming app was revealed during the TwitchCon keynote. While PS4 already allows players to stream their videos to Twitch and watch Let's Plays of other PS4 games, this new app will let users watch other people's videos from all platforms through their console. They'll also have access to all of Twitch's chat functionality, including emotes. 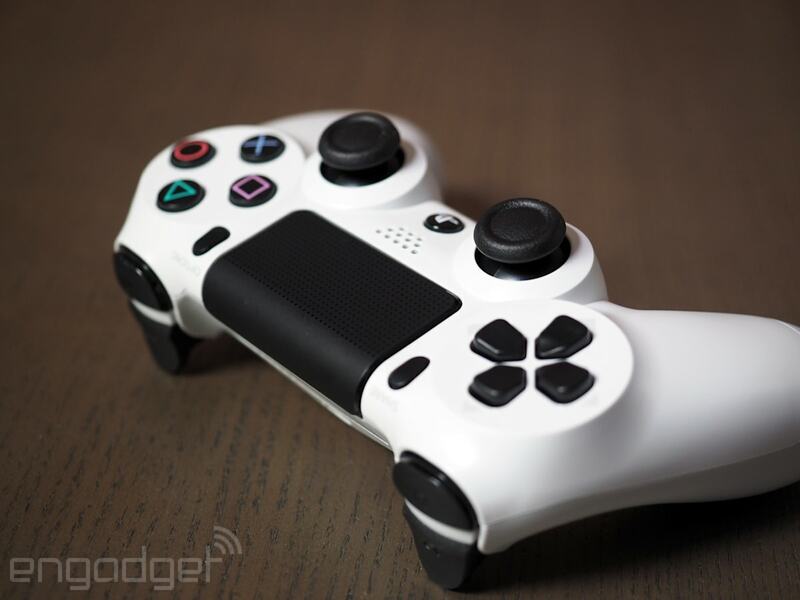 The Twitch app will later make its way to PS3, Vita and PlayStation TV. Twitch sure is busy as it's also developing a streaming video app for Oculus Rift and Gear VR. One thing you won't be able to watch on the new app, however, is Rinse & Repeat, Robert Yang's satirical shower sim that was banned from Twitch.